I live in the Chicago suburbs, and during this time of year, everyone is outside working on their lawns. Right now, my lawn looks beautiful—lush and green, free of weeds and carefully mowed in attractive lines. Call me lawn-obsessed, but when I see a dandelion appear in the middle of my pristine lawn, I’m out there with a trowel ready to dig it up. As the summer gets hotter, our lawn must be watered as much as possible within the limits established by our town, so it doesn’t become a yellow, brittle mess. Just like a suburban lawn, the online reputation of small businesses, including medical providers, must be judiciously maintained. Bad reviews can be like those pesky dandelions—no matter how pretty the rest of the lawn is, just a few of them can be what visitors to your home see first. It’s a difficult time to be a healthcare practice - which will still be true in 2017. Collecting from patients, who are often paying out-of-pocket expenses, is a totally different process than collecting from insurance payers. Patients want different things -- they crave clarity, like to evaluate options and value user experience. We'll have to get used to patient payments: 74 percent of providers saw an increase in patient financial responsibility in 2015, according to InstaMed’s trends report. Many stakeholders have traditionally viewed healthcare as a physician-centered industry, devising care delivery models accordingly. However, surveys of patient satisfaction with this approach reveal that a different perspective is needed, especially as patients are making more decisions about, and taking increased financial responsibility for, their healthcare. When asked what they really want from providers, patients report that their most important concerns center around symptom relief and being respected as individuals. 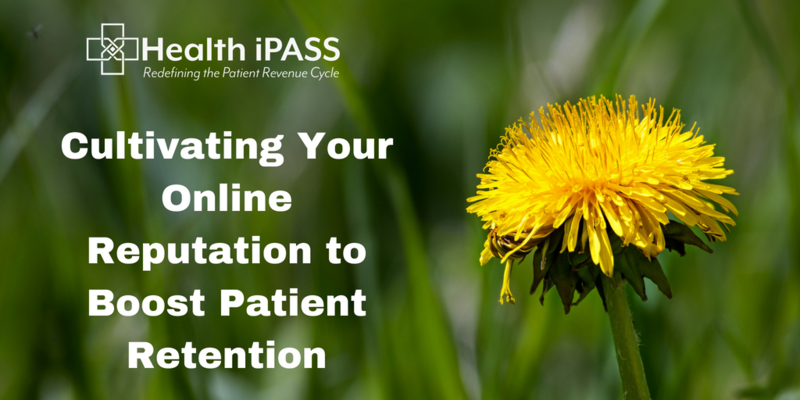 Consumerism doesn’t have to be a pain point in medical revenue cycle management. Sure, the changes to the payment collection process impact collections strategies. But there’s a chance for nimble practices to adapt and end up in great shape. Last week we detailed how HDHPs could actually help some providers, and the same thought process applies to consumerism as a whole. Collecting patient payments is a huge challenge across healthcare, and a major pain point for small to mid-size providers. Many blame patients themselves for not paying a bill once they receive it, which seems like a reasonable transaction to complete. As a healthcare provider, nothing is more important than the care you provide your patients. As a healthcare financial leader, nothing is more important than creating a healthy, sustainable, and profitable organization. Both goals rely heavily on the ability of your organization to provide patients with the healthcare experience they expect--and deserve.